Decoupage is the craft of decorating objects with small pieces of paper. 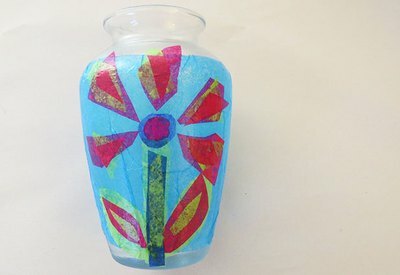 You can easily turn a plain vase, box, or candle holder into a colorful piece of art. 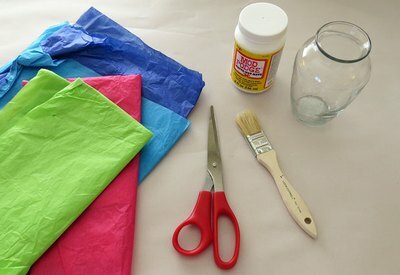 By using tissue paper, you can add many colors, changing the look with each layer. 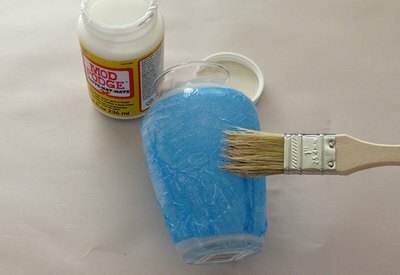 **If you don't have Mod Podge, you can substitute it for white glue. However, white glue will not provide a protective coat so you'll want to spray your finished project with a clear sealer. 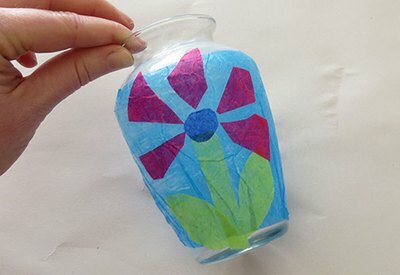 Tissue paper decoupage works well with layers. You can use simple shapes to create a mosaic pattern. It’s best to cut most of the tissue pieces before you start gluing. Your hands can get sticky, making it difficult to go back and forth. 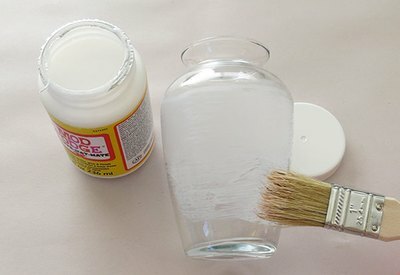 Apply a thin layer of Mod Podge to the surface of your glass container. Gently tap down the tissue to the glass. You can start with a background color or use smaller pieces to create your design. 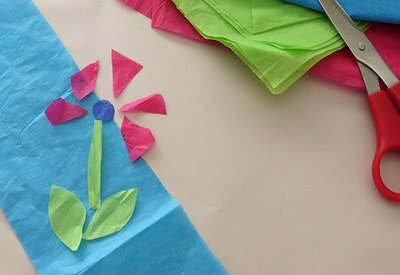 Tissue paper is thin and can rip easily, so be extra careful. Apply another layer of Mod Podge on top of the first layer of tissue paper. Add more pieces of tissue. Repeat this process until you get your desired look. Then, apply one final layer of Mod Podge for a final seal.